Yesterday I quickly made a couple of rows of miniature fake books (tutorial here), and was keen to display them. 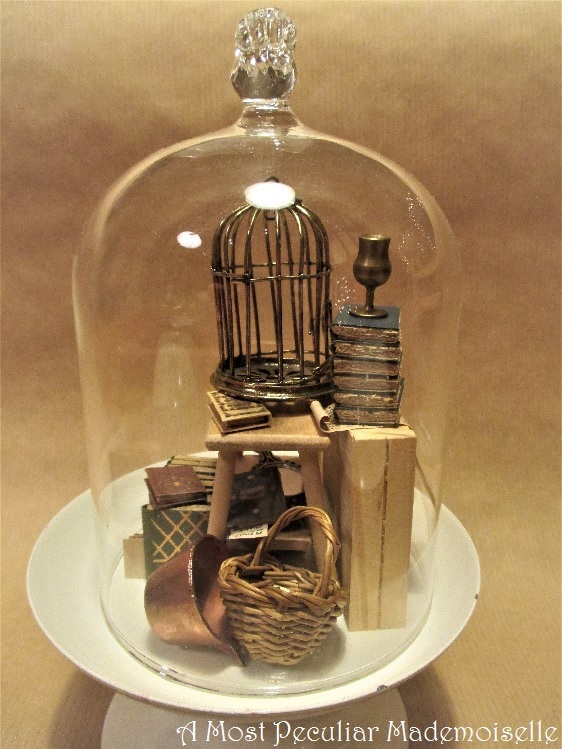 The fact that my sister in law had given me a lovely little bell jar, just shy of 4″ (10 cm), sans bird topper, for Christmas may have contributed. 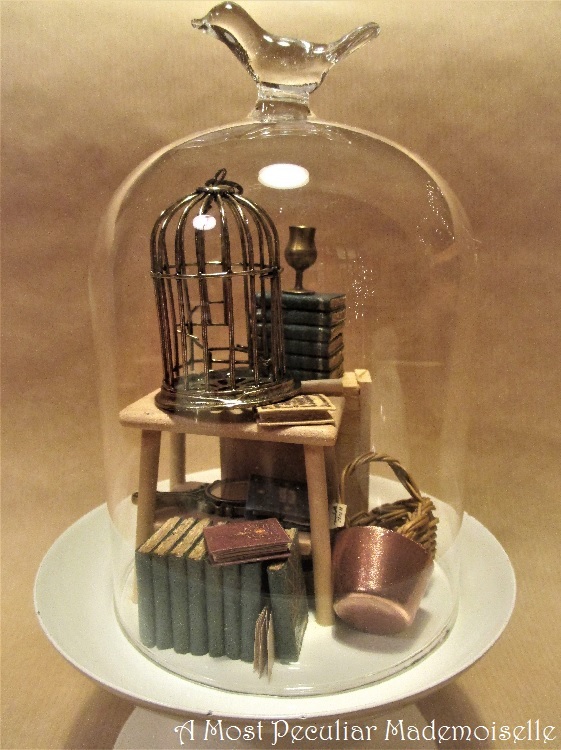 I don’t yet have enough miniatures to make a sensible scene, so I collected bits and bobs, some that I’ve got and some that I’ve made, and put together a little attic room scene – or is it a corner of The Room of Hidden Things, one of the many guises of The Room of Requirement? 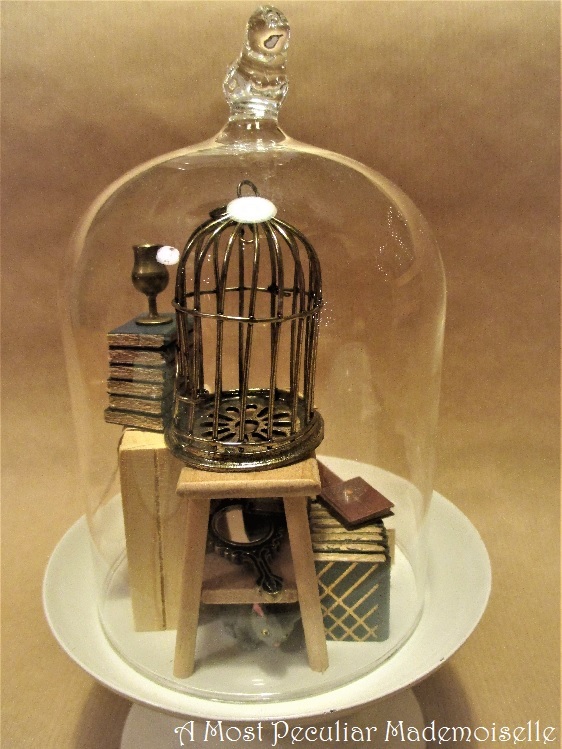 A rickety stool with a broken bird cage on it (a pendant on a necklace that I got on sale once with miniatures in mind), some outdated and forbidden books and odd pieces of parchment. A copper pot and a basket, probably disposed off by house elves. 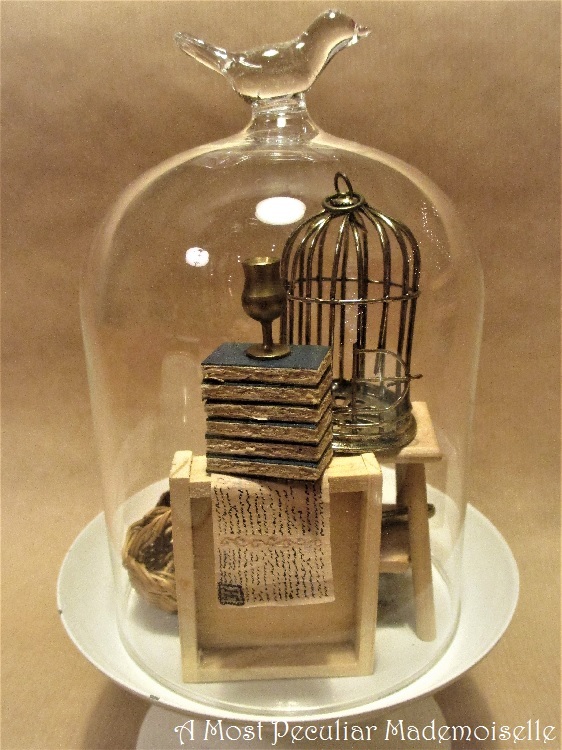 A wooden crate, a handwritten old scroll, more books and a goblet. An old mirror and a cat – don’t know how that got in there, but I dare say there are enough mice for it not to starve. I hope it will escape the Fiendfyre…. I like how it came out, though both the crate and the stool are plain – as I don’t know what permanent scene they’ll end up in I’m not yet willing to commit to staining or painting them. 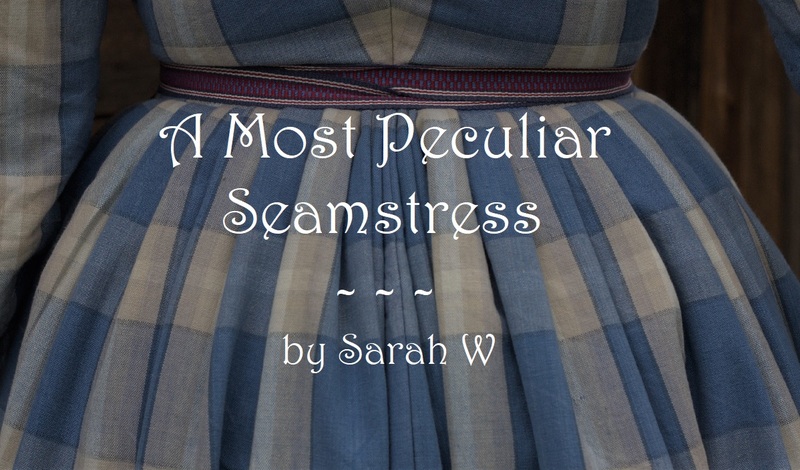 I will likely add some more things to the group as well. Miniature scenes where there is always something new to notice are the most interesting ones after all.